For more information about Forged Performance please select one of the categories below. 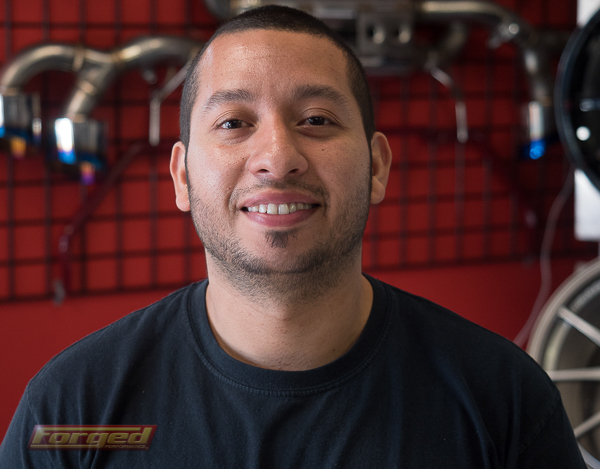 Here at Forged Performance, our team has a genuine passion for what we do and it is reflected in our personalities & daily interaction with our customers. We are all motorsports and aftermarket car enthusiasts. With over 40 years of combined experience in high performance automotive, FORGED has been in business for over 10 years...same location...same ownership...same dedication to our customers. 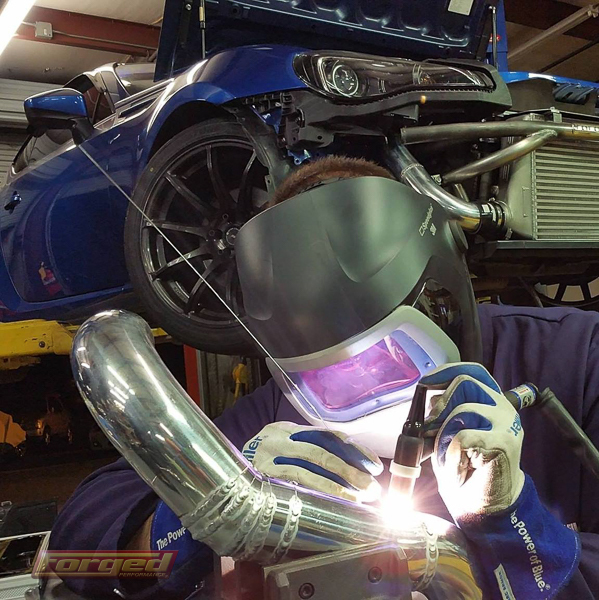 At Forged Performance, customer satisfaction is of utmost importance. Our success hinges on high quality work and thoroughly satisfied customers. See what our real customers have to say about their experience at Forged Performance!
" 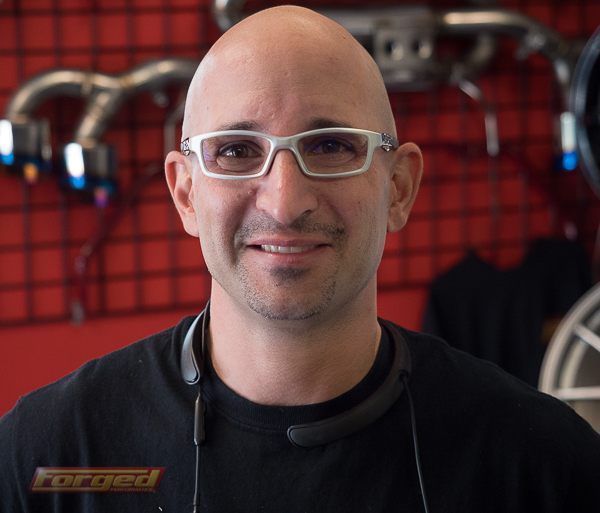 I have been a member of this forum for years - but have rarely posted anything - saving my involvement for the really important things like this post about the great service and support that I got from Forged Performance in Marietta GA - and Sharif in particular. I had broken the B basket in my trans during a race at Millville NJ, and was already paid up for a race at Road Atlanta in 10 days. Not a lot of time to fix a trans problem even normally - but with travel times included - I thought I would have to cancel. I called a number of the excellent vendor here at the forum that first afternoon - and they all had similar predictable situations of parts - service slots - logistics etc. But 1 hr after I called Forged, Sharif called back to diaognose the problem for sure - 1 hour after that I had a quote - 20 mins later my CC had been processed - and by 10 PM that same first night - I had a tracking number from Sharif for TNT - my parts were on their way out of New Zealand in less then 5 hours. The great service continued - we scheduled the car in for the work based on when the parts were scheduled to clear customs - the work was done ahead of schedule - car road tested & dyno'd by Sharif personally, and I still had 36 hrs. left before I had to be in Atlanta - which is only 1 hr away. Also I had just installed a new MoTec M1 - and even with that Sharif was able to tweak it even a little better - and given me more performance and greater safety factors on a bone stock engine. Gets Better !!!! Fri. night at the track after 3 hard sessions I noticed an odd trans noise that I had heard before. Sharif drove 1.5 hrs in rush hour traffic to make a house call at the track to confirm that it was a normal sound of a GT-R trans that had been driven hard and put away wet. "Thanks to everyone at Forged that helped with the planning and preparations for this weekend's Sebring event. I think we should make it an annual event :) and plan to go every January! On behalf of the other GT-R drivers and Forged customers, please pass our thanks along to the complete Forged team involved in pulling off yet another successful away-track weekend. Most importantly a SAFE track weekend!!!" Paul M.
"Guys, I just want to say thank you again for your hospitality, generosity and expertise. I went to the track again today and ran a best lap of 1:33.1, slowly getting better. I wasn't feeling 100% today so i know there is more time left for a future trip to AMP. I can't tell you how much more fun you have made my AMP experience, both in camaraderie and tuning my GT-R. If there is anything I can do in the future to help Forged please don't hesitate to ask, you've certainly earned on a long-term customer." John D.
"Dear Sharif and Forged staff,thank you for an amazing weekend at Sebring. It was my first time there, and wow, what a dream come true! The excitement of a new track combined with the confidence of a masterfully tuned GT-R is the right recipe for a unforgettable experience. The car setup has proven to be perfect at several tracks, including the bumpy, rough laps at Sebring. Thanks to you, I can safely push the limits of the car and my driving skills with confidence on any track. Let's face it, I am a working man, the weekend warrior, who is clueless about car mechanics and far from a Pro-driver. Does that sound like anyone else out there? Nevertheless, the extraordinary planning and support provided by the Forged team on and off the track makes an average guy like me feel like a member of a world class racing team. The stuff dreams are made of..." Jose G.
"Hey Sharif, I wanted to drop a note and thank you for your time last Sat. I was pleased and impressed with your professionalism and attention to detail. I have been around the sports car industry as an enthusiast for many years and it’s people like you and the Forged Performance team that make it enjoyable. I look forward to the next project and of course your assistance." Jim P.
"Hey Amy, I just wanted to thank you for awesome customer service. The Forged staff is always so friendly and they recognize me every time I visit. It"s the small things on top of the shop's service being provided that I think makes you guys exceptional from other tuning shops. (Can you say best receipt folder on earth?) Also i don't know if this is just the "regular treatment" everyone gets but I wanted to thank you for going out of your way to hook me up with the vinyls. I didn't realize they were CARBON FIBER! These are even better! They look awesome! Anyways, thank you again and maybe I'll see you guys on Sunday for the Caffeine & Octane meet. 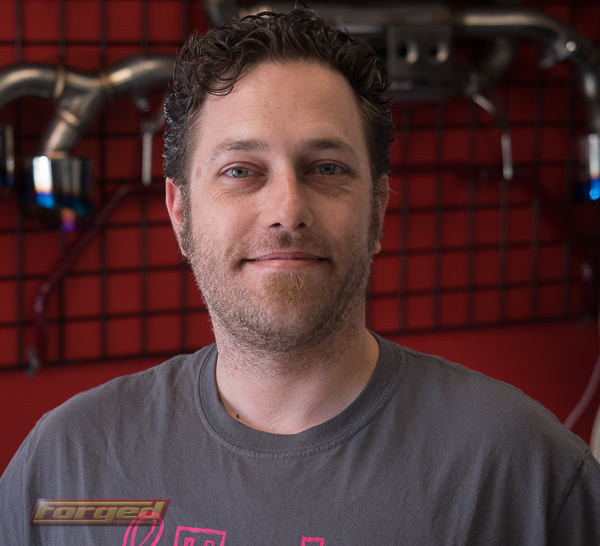 Joe C.
"I just wanted to point out that without even meeting the team at Forged Performance your customer service is top notch. Why I didn't choose Forged Performance from the beginning has been a regretful decision. Having been through a terrible experience in modding my GT-R from a previous shop, you guys really put my mind at ease. Keep up the good work!". 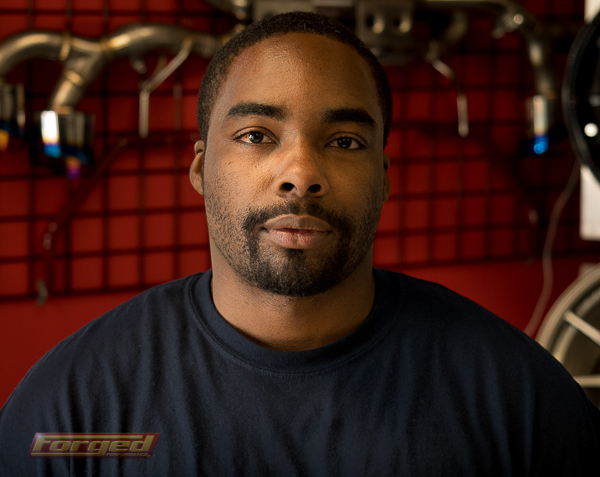 Matt S.
"Hey Kelly, thanks for all the good work you, Sharif, and your Techs at forged put in on my car. It feels really composed and there not really anything I can't say I'm not happy with on the car so far. Haven't opened it up in second again yet, saving that for Friday when Im not in the middle of Atlanta lol. Anyways; Im going to start researching engine parts and i'll be in touch." 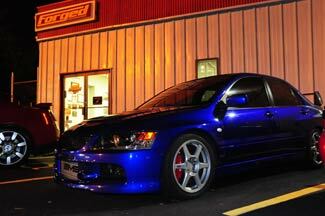 Aric G.
"I highly recommend Forged to anyone looking to get a good tune and great customer service. Thanks for the tune guys!" Will W.
"As a client I was looking for a shop that had the technical expertise to take my GT-R from a good track car to a great one. My other requirement was a shop whose attention to detail was an absolute necessity. What I found with Forged was both. Sharif's knowledge in the industry and his racing experience were obvious the more I spoke with him. He was available to speak with me when I had questions or concerns and made sure I was comfortable with the answers. Sharif went through a battery of questions regarding my use and what I wanted to achieve with the vehicle. I wanted my GT-R to be a dedicated track vehicle with top of the line suspension components. We decided on the JRZs, Dodson and SPL components. I was impressed by the quality of the parts and felt they were selected to meet my performance needs and not by some marketing agreement with a particular company. We also decided on brake upgrades with AP Racing and Carbotech pads. Living in Texas I had specific concerns regarding transmission cooling and decided on a Greddy unit. To hold me in place during what I hoped were some high G turns, we installed a Forged harness bar and Schroth four point harnesses. Final touches were the Advan Racing wheels and Michelin PSS tires. While all the parts in the world do not make a highly tuned car, you can spend a lot of money on parts and still come out with a vehicle that handles poorly. The willingness to turn in feels perfect. The car feels neutral and inspires you to push harder than what your common sense says is the limit. When pushing the limit it feels predictable where the rear begins to move and you feel it is controllable with small steering corrections. Overall I am very happy with the results and would recommend the shop to anyone whose goals are performance related. You can tell Sharif and all of his shop's personnel do their work with a lot of personal satisfaction. Anyone who would like to contact me regarding the work done on my vehicle please contact me and I would be glad to discuss my experience Thanks again Sharif, Jamielle, Amy, Daniel, Reid and all the other employees of Forged that worked on my car but was never able to meet. I consider myself to be part of the Forged Family." Michael B. 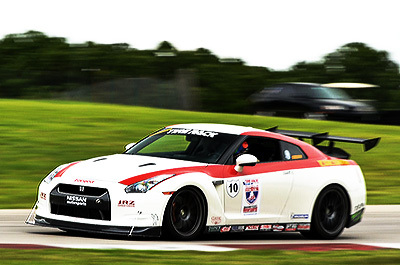 As one of the leading GT-R and late model import automobile specialty shops in the USA, Forged Performance is uniquely positioned to offer the highest level of performance upgrade installations and customer service in the industry. Our facility, located in the metro Atlanta area, offers a vast array of services including: installation, tuning, parts manufacturing, distribution and custom fabrication. Forged is owned and operated by true motorsports enthusiasts. 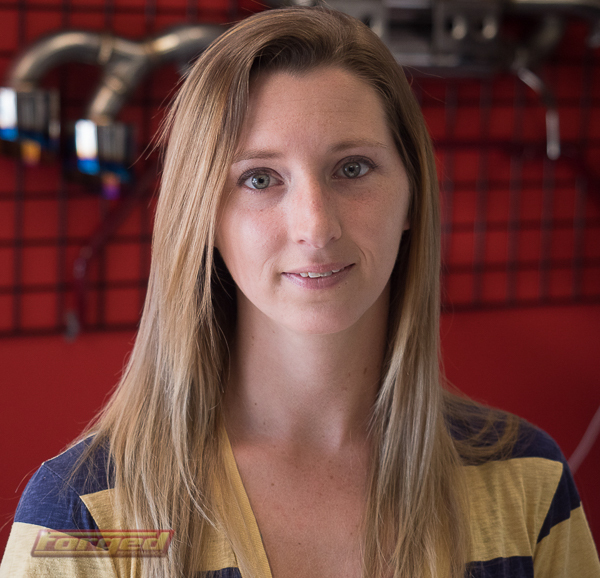 Spanning 12,000 sq./ft., our facility houses a staff of 15 full time employees who are highly trained and experienced in all facets of high performance automotive service, maintenance and race car preparation. 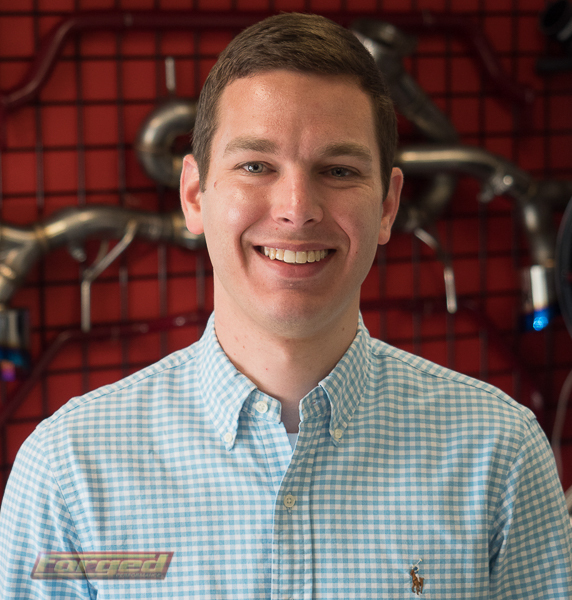 Everyone on our staff, from our in-house engine builders, fabrication specialists, certified tuners, to our front office, sales associates and managers, loves what they do each day. Forged Performance is an authorized distributor for most of the brands we carry. This means our customers receive DIRECT access to the best parts and after market support. We don't deal with middle men or distributors, which allows us to provide feedback to manufacturers and can quickly resolve any potential issues. 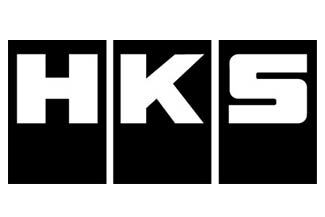 We carry one of the largest inventories of popular in stock parts for your Nissan, Infiniti, Subaru, and Mitsubishi. One look inside Forged Performance, and it's immediately evident that we are serious about performance. From our large open facility, clean office and workshop space, uniformed and clean technicians, to our state of the art Dyno Dynamics AWD chassis dyno, we have all of the tools and equipment to create the monster cars we are known for. Our facility boasts seven lifts, five full time technicians and shop assistants, and four dedicated office staff to keep the business humming along.